Mega-Tech Services, LLC is also completing the development of a new scissor cutter. This cutter is also based on feedback from Puget Sound Naval Shipyard. During several discussions, they have stated that they need a relatively lightweight high-powered scissor cutter. 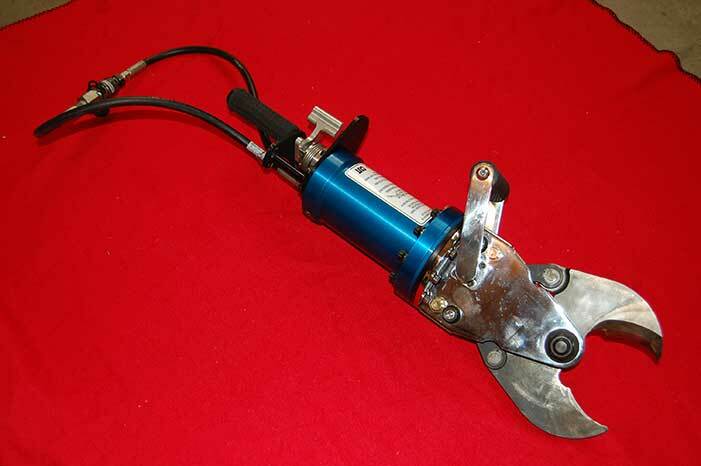 Based on the feedback from Puget Sound Naval Shipyard, a scissor cutter similar to the Beast 600NV-4 Pin, weighing in at approximately 52 pounds, is too heavy to transport and use onboard the confined spaces found on ships/vessels during dismantling activities. Using this feedback, Mega-Tech Services, LLC designed/fabricated the MT-SC-3. The MT-SC-3 has similar or very slightly less cutting capability of the Beast 600NV-4 Pin but weighs over 25 pounds less.